MUMBAI -- Tata Motors Ltd., the Indian owner of Jaguar Land Rover, said it received an inquiry from the U.S. Securities and Exchange Commission on some of its exports. "The SEC wanted details of our exports to Africa and the Middle East," Debasis Ray, a spokesman for Mumbai-based Tata Motors, said on Thursday. Ray declined to name the countries that the SEC wanted information about and why the agency inquired about exports to those nations. 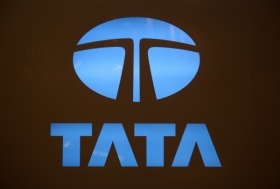 Tata Motors will respond to the SEC within 10 working days, the company said. It exported 58,044 vehicles, or 7.2 percent of total sales, during the year ended March 31, 2011, according to its Web site. The Indian company, which makes the Nano, the world's cheapest car, doesn't break down exports by geography.